With the exhibition Concrete Contemporary - Now is always also a little of yesterday and tomorrow, we are keeping our promise to demonstrate the continuing influence of constructivist-concrete and conceptual art within contemporary works of art. Set out as a route that extends through all of Museum Haus Konstruktiv's floors, this exhibition combines different artistic approaches, positions and strategies - all of which show links to the nonrepresentational trends in 20th-century avantgarde art. Concrete Contemporary makes these points of reference clear so that art history can be experienced in new ways while also shedding light on the themes of contemporary art. For this publication, renowned art specialists were invited to contribute statements on the relevance of nonrepresentional art's historical developments to the contemporary art scene. The participating artists were given the opportunity to document their contribution to the exhibition with both images and text. The resulting texts either come from the artists themselves, from fellow artists, or from external experts, thus allowing the publication to paint a picture that is just as lively and multifaceted as a walk through the exhibition. 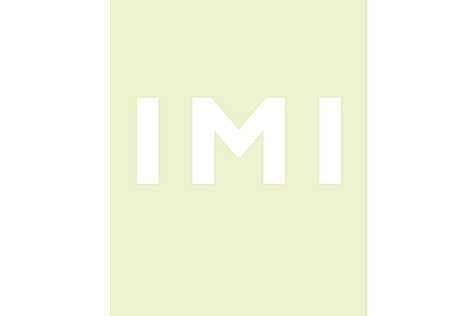 Besides important key works such as Raum 19 III (1968/2006), Batterie (2005), and the 21-part complex of works from the so-called Core Pieces, this catalog presents new works of art created by the artist Imi Knoebel (*1940) especially for the exhibition Guten Morgen, weisses Kätzchen (Good morning, white kitten) at the Museum Haus Konstruktiv. They position Knoebel’s work in a dialogue with the historical legacy of constructive, concrete, and conceptual art. Along with many photographs of the works and the exhibition itself, the catalog also features texts by Sabine Schaschl, Max Wechsler, and Beat Wismer. 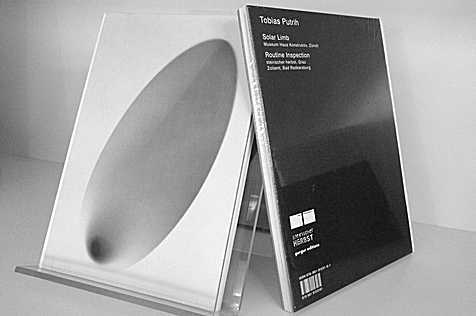 Even though his three-dimensional sculptures and installations usually arise from mathematical ideas, construction drawings, and models, Jürg Stäuble (*1948 in Wohlen, Switzerland) is not a constructivist artist in the usual sense. For him, geometry is more a starting point than the goal, even though his works follow precise rules of play. Based on six-sided or circular structures, as well as on systems of order such as sequencing, displacement, layering, and interpenetration, the sculptures question the characteristics of space and its perception. Thus, his artistic interventions in the German-speaking parts of Switzerland often take place in architectural or public settings. This publication honors the Swiss artist’s approximately fifty years of creativity in the fields of Minimal Art, Land Art, and Conceptual Art. The Bauhaus radiates an unbroken vitality even today - more than 90 years after its founding. The Bauhaus, a school where arts and crafts, art and technology were taught together, has survived all the fashions of architecture and design. 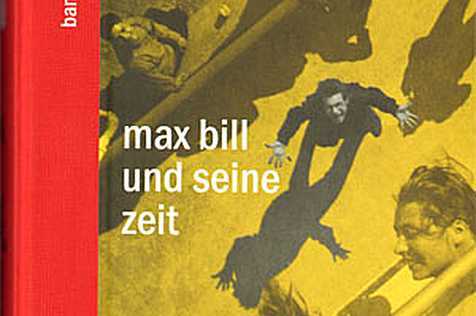 The present volume provides an insight into the historical, cultural-philosophical, political and pedagogical environment of its time of origin, portrays the famous Bauhaus directors and teachers, introduces the pedagogical methods and opens the doors to the reader to the individual workshops where he can still discover the unique wealth of forms and ideas of Bauhaus products. Few positions in art currently attract more attention than the works of the young sculptor Alicja Kwade (b. Katowice, 1979; lives and works in Berlin). They show how easy it would be to lift our construction of reality off its hinges. In her installations, objects, and photographs, experiments in philosophical thought take concrete shape, reminding us that we cannot understand everything. Both social conventions and the laws of physics are at stake. Alicja Kwade’s discreet interventions in scenes of everyday life can invert gravity, transmute pebbles into jewels, and even open doors to parallel worlds. She tries to render the invisible visible, to comprehend the unimaginable. To this end, the artist creates sometimes poetic, sometimes absurd forms in a world otherwise determined by reason. 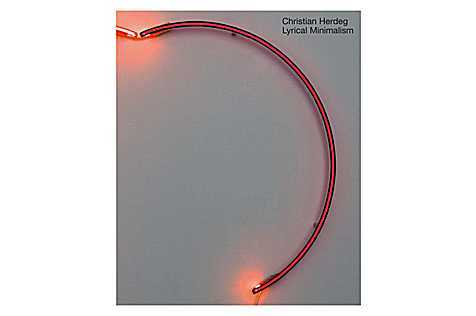 First published to accompany a 2008 exhibition at the Museum Marta Herfordin Herford, Germany, this handsome volume displays Bill’s wide-ranging work and sets him in the context of his cultural milieu by featuring works by his contemporaries, such as Kurt Schwitters, Wassily Kandinsky, and Donald Judd. Accompanying essays investigate Bill’s influence on other artists and the lasting importance of his oeuvre in the present. 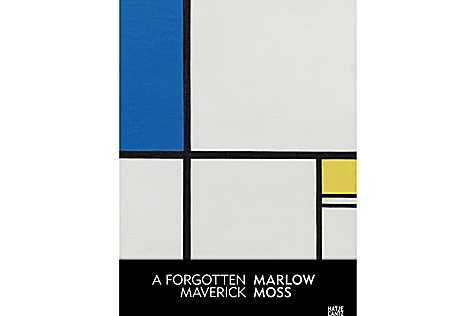 The British artist Marlow Moss (1889–1958) is one of the few early female Constructivists who inspired the great modernist masters. For instance, the so-called double line was one of her most important inventions, which she began employing in her paintings in 1930. It is one of the elements that both Piet Mondrian and Jean Gorin picked up on for their own neo-sculptural compositions. Even though they do not openly refer to her, their works are still closely related to Moss and they share her original, new ideas about art and composition. Unlike her contemporaries, Moss did not limit herself to painting. She applied her linear structures and mathematical principles to reliefs and sculptures as well. These aspects of her work, along with her unusual life, are discussed in detail in this exhibition cataloge. What began in 1986 as a small circle of avid fans of constructive-concrete art, has since grown into a museum with an impressive collection. Today, the Haus Konstruktiv can name over 900 works as its own, including around 100 new additions just in the past five years. 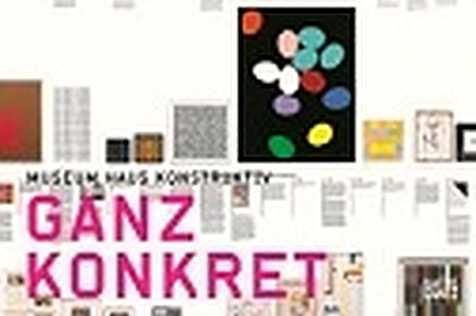 The Thinking Outside the Box volume on the collection is more than a mere continuation of the 2011 overview “Ganz Konkret”; it is a richly illustrated tour of the anniversary exhibition that presents the new acquisitions as well as key figures in constructive-concrete art. Contemporary guest interventions by Olaf Breuning, Claudia Comte, Martin Creed, Sylvie Fleury, Christian Jankowski, Yves Netzhammer, Nedko Solakov, Martin Walde, and WBG AG provide new commentary on the collection in a way that is as humorous as it is subversive. With articles by Bob Nickas, Burkhard Meltzer, Sabine Schaschl and Brandon Taylor, plus an interview with the museum’s first director, Margit Weinberg Staber. Reduction is very much in vogue again: ZERO is undergoing a major international revival, important Op artists are being rediscovered, and new art galleries with a contemporary platform are presenting the influential Conceptual artists of the sixties and seventies. In short, Constructive, Concrete, and Conceptual themes are once again absolutely up-to-date. Haus Konstruktiv has been working with precisely these themes for several years now. In nine chapters, Complete Concrete describes the more than one-hundred-year history of these three genres to the present day. Both group and solo projects by, among others, Georges Vantongerloo, Tobias Madison, and Magdalena Fernandez present the theme of art history as an exciting space in which the past and present resonate. This is the first publication to present the collection from Haus Konstruktiv, and it documents a cross-section of important stances from 1900 to 2010 in an intriguing and multifaceted way. An intriguing and multifaceted examination of the development of Concrete, Constructivist, and Conceptual Art. Cerith Wyn Evans talks to Hans Ulrich Obrist in a very open manner about his career as a video and filmmaker, initially assisting Derek Jarman, and then making experimental films during the 1980s. Since the 1990s, his work could be characterised by its focus on language and perception, as well as its precise, conceptual clarity that is often developed out of the context of the exhibition site or its history. For him, he states, installations should work like a catalyst: a reservoir of possible meanings that can unravel many discursive journeys. Moreover, his work has a highly refined aesthetic that is often informed by this deep interest in film history and literature. 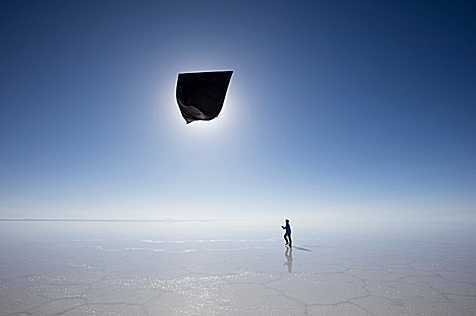 Tomás Saraceno sees his multidisciplinary work as artistic research, in which he pursues the notion of a “realizable utopia”. Inspired by physical and biological phenomena, such as the thermodynamics of the atmosphere or the structures of spider webs, he works together with relevant experts, including biologists, engineers and architects, developing sensational works: enormous air-filled sculptures that float upwards, relying on nothing more than solar radiation and the infrared radiation from the Earth’s surface, or web structures that are as spectacular as they are delicate. His visionary projects can be linked to the Russian constructivists and suprematists Kazimir Malevich and El Lissitzky, who were already pursuing the notion of flying cities in their day. In response to global, ecological and societal challenges, Saraceno’s works act as models for future, sustainable living. When Constructivism emerged shortly after the Russian Revolution, its central principles concerned structure and efficiency in the work of art and the nature and properties of materials. In a series of eight essays, Brandon Taylor examines the origins of these principles and their extraordinary consequences for the rest of modern art. Even before Constructivism, structure was a vital ingredient in Cubist art. After it, ideas about faktura or the “madeness” of an art object—and about its rational organization—became stock-in-trade for De Stijl in Holland and Art Concret in France and bore decisively on other currents such as Surrealism and abstract art. After 1945, artistic movements including Systems, Kinetic and Minimal Art were all touched by the long reach of Constructivist ideals. Recent art has proved no exception. Taylor shows that casual attitudes to materials, even the collapse of Constructivist ideals, have helped form the artistic tenor of our times. 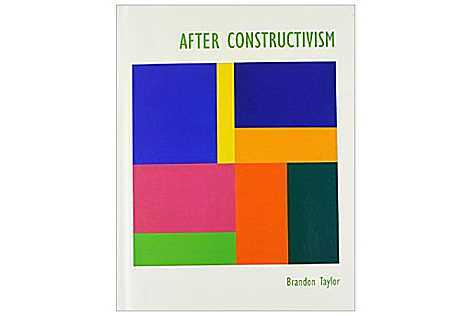 Author: Brandon Taylor, Publisher Yale University Press New Haven and London. Language English. A unique style which brings film, architecture and installation together in theatrical presentations: Ulla von Brandenburg can be rightly called one of Germany’s most exciting visual artists. What is special about the works of Ulla von Brandenburg is the way she explores relationships between people. Moreover, she is able to create stories which deal with the thresholds between reality and artifice. The German artist often uses historical source material and transforms it into the present. In this way she tacitly reveals the rules that govern our social reality. Her innovative mixture of film, drawing, installation and performance will allow the audience to see the interaction of language, exchange and colour. 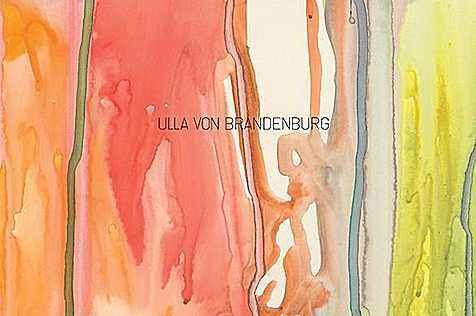 ACCA presents the art of Ulla von Brandenburg within the scenery of a baroque opera set and also published a book which documents the whole exhibition. Christian Herdeg (*1942 in Zurich, where he lives and works) has been experimenting for over 40 years with the medium of artificial light. He's a swiss pioneer artist in using luminescent lamps. The monograph shows important stages of his work from 1970 to this day. 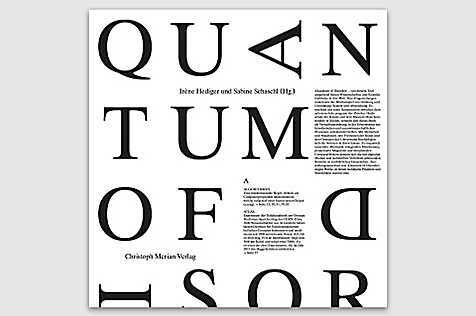 With contributions of Benno Schubiger, Yvonne Ziegler, Sabine Schaschl, Christian Herdeg, Deborah Keller, Daniel Morgenthaler. It's the first biography about the great artist, designer, architect and homo politicus: Volume I (1908-1939) gives an insight into his childhood, the time at Bauhaus and his social ideals. 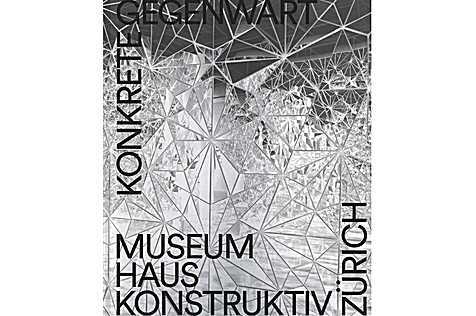 In cooperation with Sabine Schaschl / Museum Haus Konstruktiv. Bernd Ribbeck (b. Cologne, 1974; lives and works in Berlin) is one of the most promising creators of abstract art today and often described as an exponent of “New Constructivism”. His small-format abstract paintings lend a fascinating depth and aura to shapes such as circles, ellipses, and triangles executed in lush colors. In a time-consuming creative process, Ribbeck works on primed fiberboard panels with acrylic paint and ballpoint and felt-tip pens before coating everything with a layer of white lacquer, much of which he subsequently scratches off. The resulting luminously colorful panels possess a forceful physical presence. 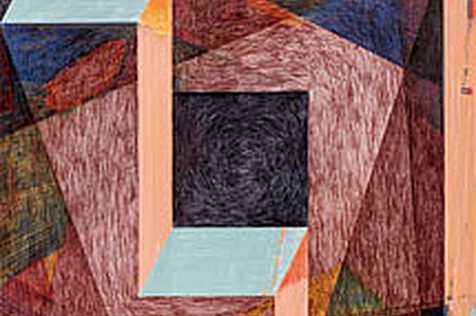 The geometric and often symmetrical compositions he builds out of complex layerings of surfaces and lines reflect his engagement with a wide range of modernist aesthetic strategies in the work of artists such as Paul Klee, Lyonel Feininger, and others associated with the Bauhaus as well as the paintings of Robert Delaunay and Hilma af Klint. Yet despite these references, his work has the distinctive and timeless quality of genuine outsider art. 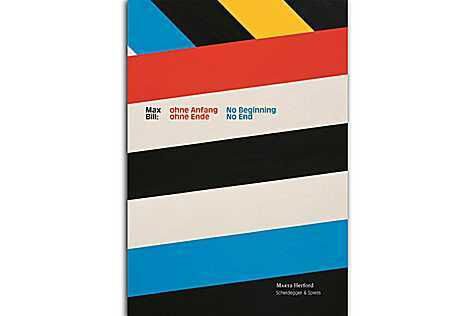 The book, which includes an essay by Oliver Koerner von Gustorf and a conversation between Sabine Schaschl and Bernd Ribbeck, showcases a representative selection of more than 125 works from all periods in the artist’s oeuvre. The artist's book Subliminal provides an in-depth insight into Julie Hayward's extensive artistic work, which includes sculpture, drawing, photography and film. Using drawings as a starting point for her examination of form, Hayward creates biomporphic sculptures. Her three-dimensional work is reduced in colour and oscillates in the field of tension between absence of gravity and solidity, where tying is a recurring motif. The sleek, perfectly executed surfaces do not provide any information about the objects' actual materiality, therefore the haptic experience is limited to the beholder's imagination. Hayward's work alienates any conventional perception of art: The Freudian Unheimliche is combined with subtle humor inherent in Hayward's sculptures. In her photographic work Hayward documents and analyzes the sculptural qualities of found objects. The artist's book comes with an inlay about Julie Hayward's art in public spaces. 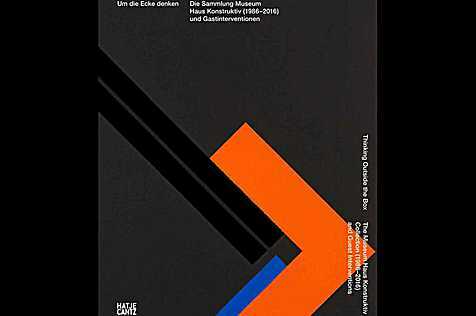 With contributions by Katharina Blaas, Katrin Bucher Trantow, Lucas Gehrmann, Thomas Mießgang, Walter Seidl, Margit Zuckriegl and a talk between Sabine Schaschl and Julie Hayward. 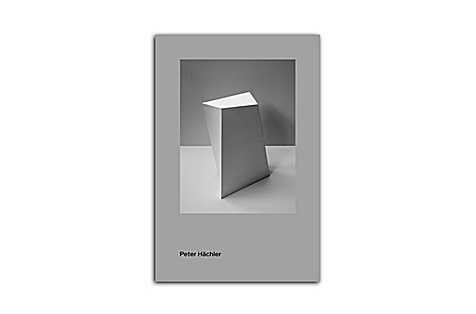 The publication will appear on the occasion of the exhibition “Peter Hächler - Metamorphosen” at Museum Haus Konstruktiv. William Kentridge is one of the most highly regarded artists of our time. 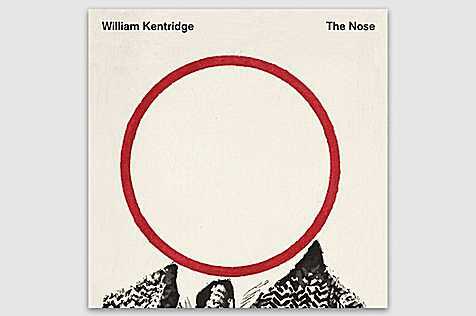 This publication is devoted to the multimedia cycle of works entitled “The Nose”. Here, the focus is on the video installation “I am not me, the horse is not mine”, which is based on Nikolai Gogol's 1836 surreal short story “The Nose” and has previously been shown, for instance, at the Tate Modern in London, in 2012. In 2014, Japan and Switzerland celebrated the 150th anniversary of their diplomatic relations. 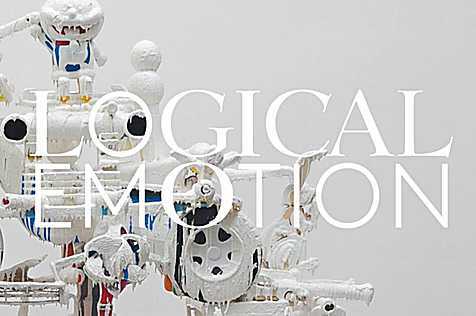 On this occasion, the museum Haus Konstruktiv realized, in cooperation with the Japan Foundation, the exhibition project »Logical Emotion – Contemporary Art from Japan«. Based on the constructive-concrete and conceptual heritage of the Zurich Museum, Director Sabine Schaschl and Kenjiro Hosaka from the Museum of Modern Art Tokyo, curated an extensive group exhibition on contemporary Japanese art. Their presentation focused on logic and its supposed counterpart – emotion. The curators used various media as their source: painting, installation, video, photography and architecture, right up to applied art and manga drawings. In recent years, abstract painting has developed a rich complexity that, now more than ever, rewards intensive viewing; this authoritative book written by Bob Nickas guides the reader through the key issues in the field.